2014 Walk Through Video And Photos! Here is a quick walk through video of the yard right now. Of course we have lots of things that wont go out until the big night itself (more animatronics and props) so be sure to keep an eye out for a video of that when it happens! In the meantime check out the video and the photos below! Hi Chris! Thanks for the kind words!!! 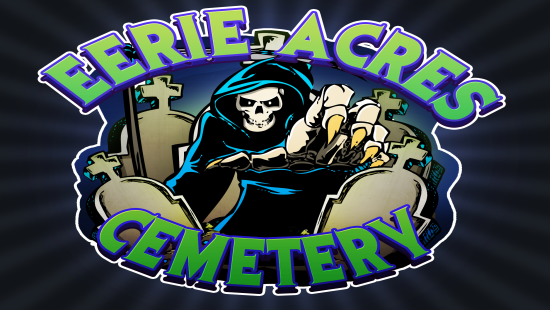 I thought long and hard about what to do for sounds for my talking skull and in the end I had a friend of mine record a few lines for me giving the rules and stuff of Eerie Acres Cemetery and it worked out great with just the voice track. I was going to do it myself but didnt want to hear my voice all night long haha. I would use a free program called audacity to record a voice track. Its super easy to use and will out put the file into an mp3 or wav. 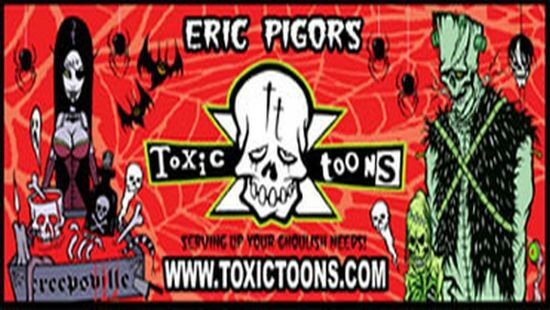 You can use any mic you want on your computer and record just a voice track and not have to worry about any outside noises causing the skull to act funny. The window projections are from Atmosfearfx they are a mixture of a couple of their DVDs from Ghostly Apparitions and Bone Chillers! The female maid is from a video my friend created over at Van Oaks Cemetery you can find him on youtube and the Halloween forums! I hope this helps! Let me know if you need any more information! I love your setup, great job. Those lit up pumpkins in the tree are a simple but great effect. « A quick before and after shot of the yard for this year!